No trailer but Vince announced a few details and title today at EA Play. I kind of stand by what I said in another thread. I've never been a huge fan of either Star Wars or Star Trek games - none have ever done them well. Some of come so very close, but not quite. The sole exception for Star Wars was back when X-Wing vs Tie Fighter was new back around 1997-8 (Can't remember), and Star Trek - Elite Force (Set in the Voyager time line) was really well done as well. Beyond those - none have really captured the movies / stories for me, and have always, ultimately, disappointed, no matter how much I wanted to like them. I agree with you to an extent. I’m a sucker for Star Wars games even the ones that aren’t so great for the sheer thrill of being immersed into the Star Wars world. I really thought the Amy Hennig led Visceral Star Wars game was to be the Star Wars game that would give us our first great SW game in quite some time. Of course, that’s not to be now. Yeah - I had hoped for that, too. Visceral was a loss. I absolutely hated what they did with Battlefield: Hardline - but liked Dead Space the little bit I played it. They had a lot of talent, and didn't deserve to go out like that. I’ve never been much of a Battlefield fan, so I can’t judge Visceral’s game of it. The Visceral Star Wars game was going to be headed up by ex-Naughty Dog Any Hennig who was responsible for Uncharted. There’s a good chance it would have been an incredible story, but EA wanted to focus on MP. It’s kind of funny that they are back on the single player experience for Battlefield V, I’ll bet it has everything to do with the next COD not having a campaign. Hah - yeah, probably. Though DICE has made some tweaks to multiplayer as well that sound interesting to me - e.g. - you stay in the same squad now when maps roll over, you can build out your own squad, etc. The ONLY thing I liked about Battlefield 1 was the way they did the Single Player experience where, instead of having a continuing character, you went and fought in key battles for WW I in Europe. That was a stroke of genius, IMHO, because it allowed for a much better way to help prepare you for the multiplayer maps, and it's just as fun to go through it that way without getting attached to characters as it is to play a SPC where you do. I didn't think it would be. Hardline was just cheese - basically took Battlefield 4 and re-skinned it as a cops & robbers game - all they did was take the weapons off of the vehicles, but otherwise, even with the different skins and everything, the game felt like Battlefield 4 - all the way down to the parking garage feeling the same, etc. It was awful and didn't do well at all - Battlefield 4 by far retained it's player base with a lot of players trying Hardline, then coming back. It was a gigantic mistake to go that route. I didn't mind Republic Commando or KOTOR1. But have to agree that there have been so, so many SW games and most of them are "meh" or worse. Maybe this will be a dope game... I sure hope so! Amy hennig also ran crystal dynamics who produced, along with silicon knights, the legacy of kain series. Which is, to this day, the greatest story in any game I've ever played. I would challenge anyone to provide me a game with as much depth, lore, narrative, voice acting, and emotion as that game. Plus, it was great gameplay. @xnarcosysx I too love Legacy of Kain! With so many remakes, it would be nice to see them remaster the Legacy Of Kain Games. Being female myself, Hennig has always been one of my heroes, I can’t wait to see where she lands next. I personally can't wait for this game. 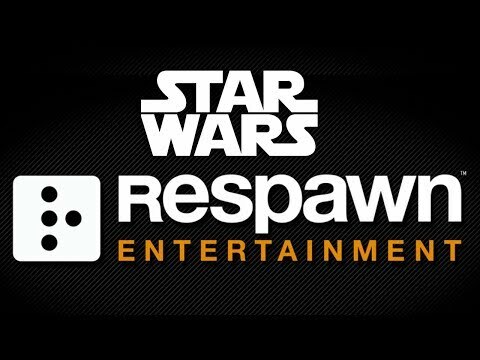 I love Respawn's vision and just the fluidity of their controls and that's gonna be cool to navigate in a Star Wars game. I'm not a huge fan of Star Wars but I like it enough. I'm interested in it - but it's not something I'll pre-order. If it's - as rumor says - a third person view, I won't buy it. I don't mean to be a poop - but I just don't like that style of game. I'm SUPER disappointed that Anthem is that way. I'm hoping there's some sort of free demo or something for Anthem, as I do want to give it a fair shake. The game play video I've seen of it is amazing, except for the third person view. It's actually the first game in that style that's made me want to give third person another shot.